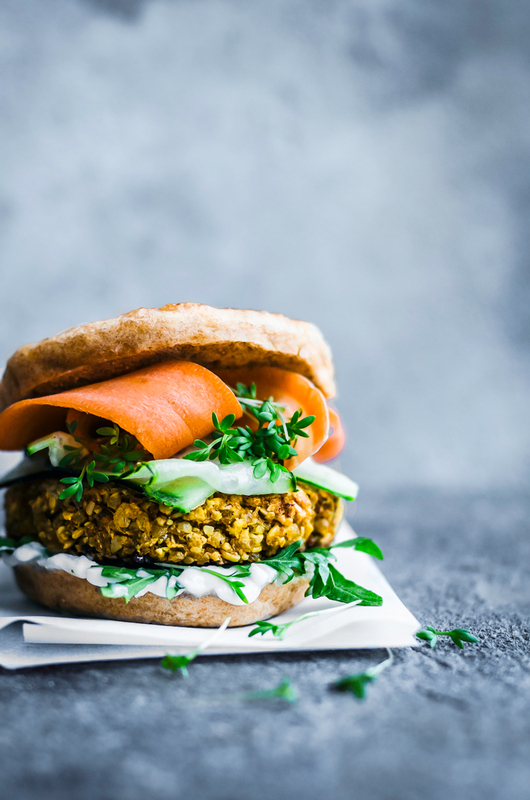 Vegan cauliflower burgers with Indian spices, rice, and oats – these beautiful golden gluten-free burgers are from Veggie Burger Atelier, a new plant-based cookbook all about veggie burgers. I have a very exciting new cookbook recipe for you! 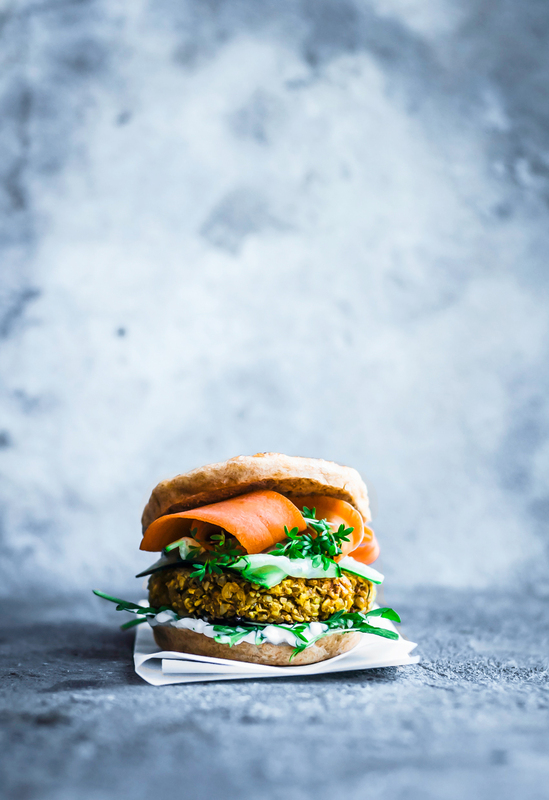 These are Indian-inspired burgers made with cauliflower, rice, and oats as the base, with lots of turmeric, ginger, and spice. Veggie burgers are a staple in my house, and I make them at least a couple times a week, but always with some kind of beans or lentils. It’s nice to have a bit of a change from a very legume heavy diet with a real comfort food burger that’s still quite light, and this fits the bill. 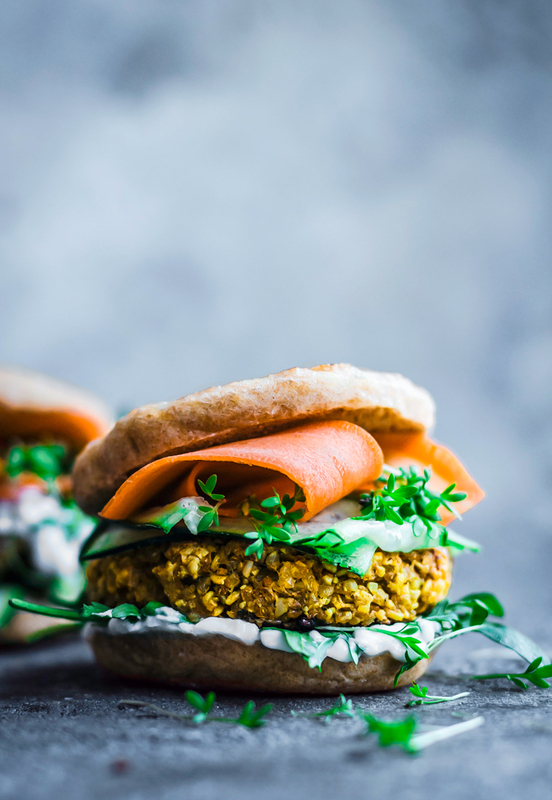 I served them with little naan buns – I just made my regular spelt naan recipe and formed little rounds that were a bit thicker than usual, then cut them in half for the burgers. We’re both obsessed with veggie burgers, Graham especially, so Veggie Burger Atelier is perfect for us. Graham’s favourite restaurant is a vegan burger place in Winnipeg and he’s already planning to have a meal there when we’re back home in August. I’m pretty sure it’s his #1 thing to do in Winnipeg. I read through the book with a different perspective from him, of course, looking at how the recipes are made and photographed along with thinking about how they’d taste. He alternated between “mmm” and “how creative!” and would very happily inhale every single recipe in the book. 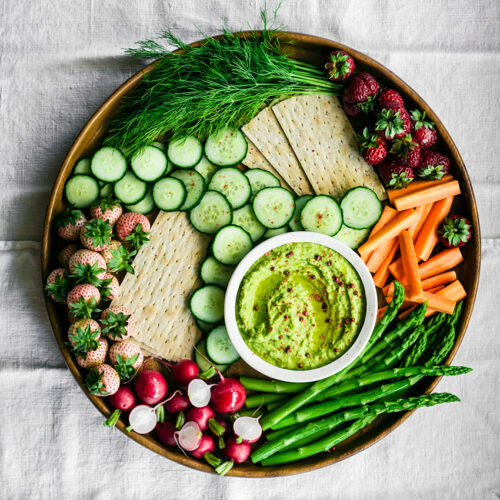 So it’s not just for the food obsessed, I think anyone interested in plant-based eating would love it. I was a bit skeptical of the holding power of these burgers when I was mixing up the patties, but they really turn out perfectly. I trust Nina’s recipes implicitly but I’ve never worked with shredded cauliflower before. Frying the burgers for a few minutes gives them a really great texture and outer crust, and then baking ensures that they’re cooked through and won’t crumble. It is a bit of work to get everything prepped and ready to go, but since you can make the mixture 24 hours in advance, you could do it the day before cooking. The book is separated into areas of the world, from Northern & Southern Europe through Asia, Africa, and the Americas. The recipes are inspired by specific cities, places, and flavours. There are several recipes for dips, sides, buns, and even a couple sweets mixed in with all the burgers, too. 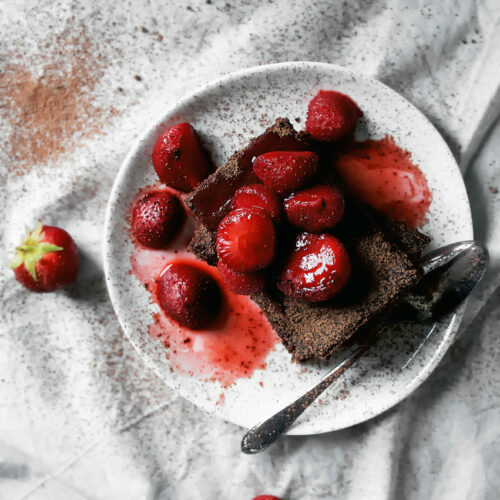 Some of the ingredients used in the book are a little on the pricier side and you might not have them in the house unless you’re already big into plant based cooking, but there are several that use everyday ingredients, like this one, with readily accessible base ingredients and spices that are easy to find. I don’t have a large and varied pantry so this was the recipe I chose, that I’d be able to make without buying lots of special items. I think that’s in large part due to it being the end of winter right now and just not having as much variety in general, compared to summer or autumn, like herbs and certain vegetables. Some of the recipes I’m planning on making once the seasons change: Le Parisien, Sunshine Burger, Lachmacun Burger, Kasbah Burger, and the Truffled Burger Queen. And definitely the homemade ketchup. 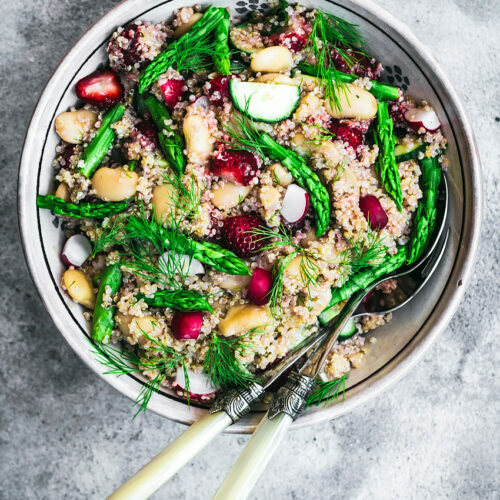 This is book number two from Nina – her first was a bowl food book, Bowls of Goodness, which I did a review of here. I got that one in German and my aunt promptly “borrowed” it so I haven’t seen it since, but it’s also packed with awesome recipes. Both books are vegetarian, not vegan, but she gives vegan options for almost all of the recipes. The burgers aren’t heavily reliant on eggs as a binder, and when eggs are used, there’s a note on how to use chia instead. 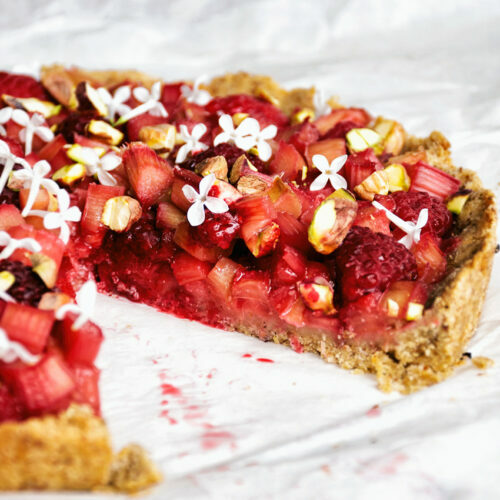 Some of the recipes use dairy but again she provides substitutions, so if you’re vegan, go for it! 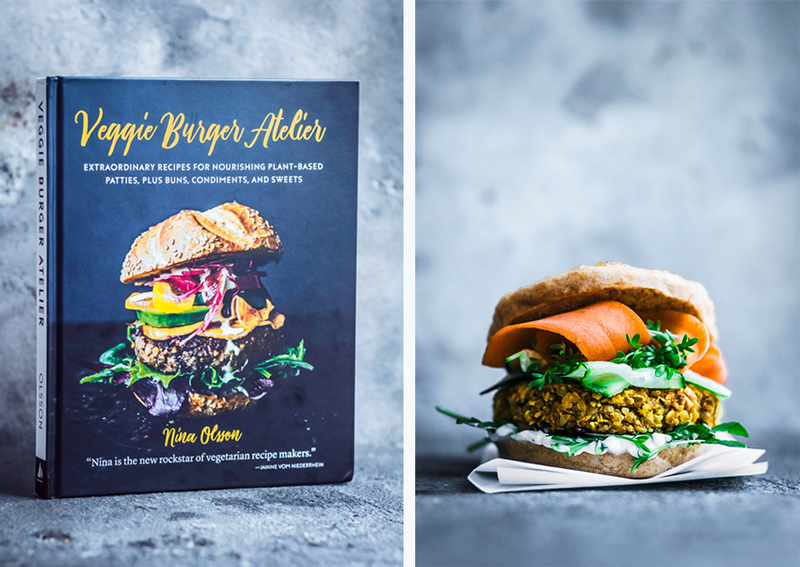 Reprinted with permission from Veggie Burger Atelier, copyright © 2017 by Nina Olsson. Published by Quarry Books, an imprint of The Quarto Group. 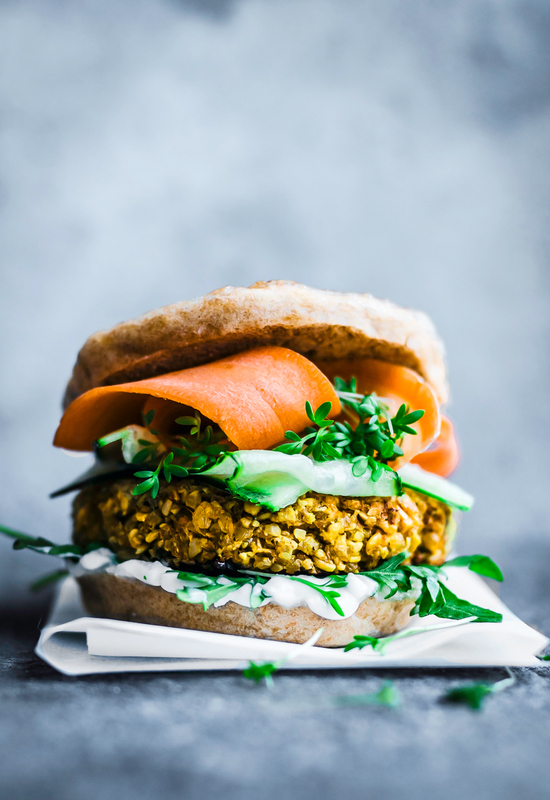 Vegan cauliflower burgers with Indian spices, rice, and oats - these beautiful golden gluten-free burgers are from Veggie Burger Atelier, a new plant-based cookbook all about veggie burgers. Place a pan over medium-high heat and add 1 tablespoon of oil. Add the onion and fry for 4-5 minutes, or until translucent. Transfer to a large bowl. Add another tablespoon of oil and the cauliflower, garlic, turmeric, garam masala, ginger, salt, and red pepper flakes. Fry for 6-8 minutes, stirring. Transfer to the bowl with the onion. Add the remaining patty ingredients to the bowl and mix to combine. Working in batches, pulse the mixture in a food processor for a few spins until the rice and oats are broken up. Be careful not to over blend - you want a crumbly texture. Refrigerate the mixture for 30 minutes, or up to 24 hours, covered. Preheat the oven to 180C / 350F. Divide the mixture into 4 (see tip) equal portions and shape each into a patty. Place a pan over medium-high heat and add the remaining tablespoon of oil. Fry the patties for 4-8 minutes per side. Lightly season with salt and pepper and transfer them to a rimmed baking sheet and bake for 8-10 minutes. 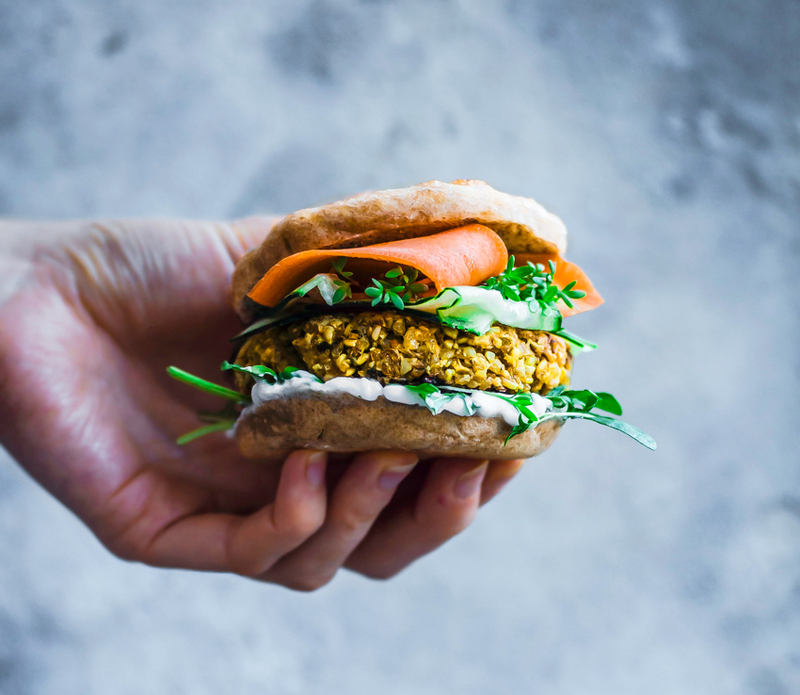 Assemble the burgers between warm buns or naan buns and serve topped with the lime cashew cream*** and sesame-carrot salad. 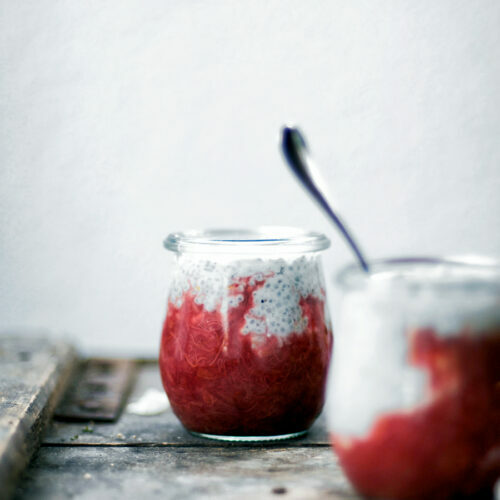 In a blender or food processor, combine all the ingredients and process until smooth. Set aside. In a medium-sized bowl, stir together the carrot ribbons, vinegar, and sesame oil until well coated. Set aside.